“In last 20 years close to 1.5 crore farmers in India have left farming! It is alarming! Certainly agriculture today has critical problems but these issues can be solved using technology. Our farmers are hard working but they need to update themselves with the changes that can help them improve farm production. Presently there exist a huge gap between farmers and technology that is restricting the growth of Indian economy and I want to bridge this gap,” states Mr. Ravi Singh Choudhary, 24, founder, Krishi Utthaan. Having completed mechanical engineering from BIT Sindri in 2015, Mr. Choudhary is able to relate his theoretical knowledge on the field every day, “Indeed! I see use of mechanics in agriculture everywhere be it drip system, agri or processing machinery. It is Magical for me to combine Mechanical + Agriculture. 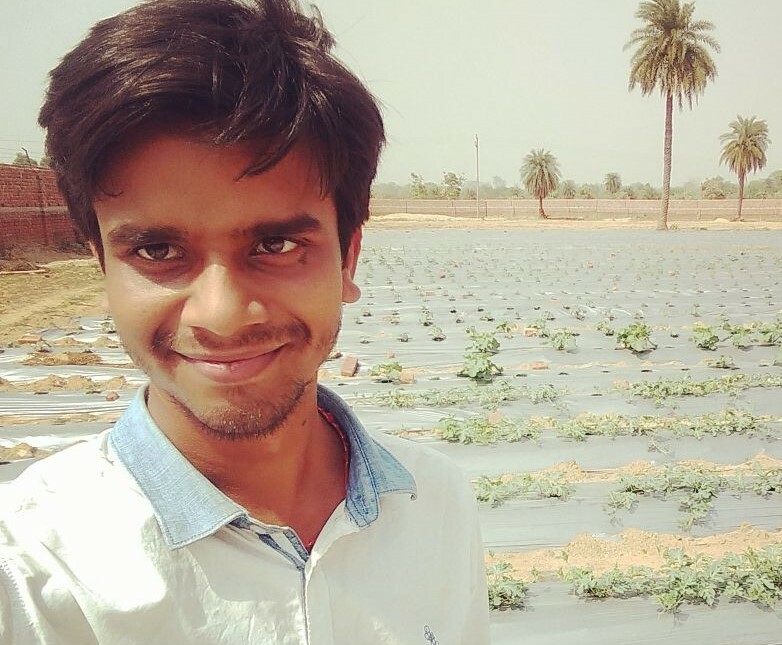 Influenced by Israel-agri solution slowly I started getting inclined towards agriculture and then Subash Palekar’s zero budget farming drew my attention. I crafted a blend between the two and began reaching the farmers to help them increase farm production,” he shares drive to become part of agriculture in Jharkhand state. Economies of Scale – Agricultural land is becoming smaller and smaller. Also farmer is the only person who purchases agri inputs in retail and sells the farm output in wholesale! Solution – Community farming is the solution. Farmers having less than 2.5 acre farmland must make the group and work together. “We work in the interior parts of Jharkhand to group the farmers and train them jointly. Working with 10 farmers at the same time fastens the change process plus they are able to buy their farming inputs in wholesale price and sell their farm produce in bulk quantity thereby production cost is reduced and selling is convenient. In this way economies of scale can be escalated and everyone will be benefitted,” he explains. Government Schemes – Subsidies are available and utilized but unethically. If there is subsidy for constructing the borewell the beneficiary uses it for personal use. Solution – “I identify the deserving beneficiary for the subsidy scheme and ensure it is utilized for farming purpose only by the farmer. I also try to see that the subsidy is used in a way that more than 10 farmers are benefitted through it for sure,” he shares. Price Exploitation – Farmers grow but not able to sell. Solution – Farmer must select the crop that sells on its own due to high demand. “Survey the market before sowing to find the crops that sells most and offers stable income. For example, bitter gourd has steady price throughout the year and has good in demand due to increase in lifestyle diseases in the consumers. Secondly, try to explore the new markets. Reach the main consumer market then in routine the network will be established. We also encourage farmers to grow off-season crops for higher profits,” shares Mr. Choudhary and adds, “We have linkage with mega stores like Reliance Fresh to help farmers sell their farm produce through these stores in case they are not able to sell independently.” If it is 100% organic produce then farmers should have their own supply chain. Wild Animal Issues – It spoils the farming zone as farmer cannot keep a watch on their farm 24/7. Solution – Farmer can install solar fencing in most frugal manner. “We have some low-cost designs which are introduced to the farmers to keep their farms safe from the wild animals,” he shares. Pest Management –With the use of chemical pesticides the production cost increases and if the crop is affected then yield is ruined. Solution – “I have identified extremely effective traps that controls the pests in the field thus the use of pesticides is almost negligible. We also advise farmers on preventive measures to keep the crops protected therefore the yield is assured,” he highlights. Conventional Farming – With continuous use of chemicals the soil health is deteriorating and yield is decreasing. Solution – Zero budget farming is the only way through which soil fertility can be resumed that would in turn increase the crop production. “If not today then tomorrow farmers need to leave the use of chemicals in their farm hence it is better to start as soon as possible to avoid further destruction,” insists Mr. Choudhary. Unstable Climatic Conditions – With decrease in rainfall water scarcity is affecting the farm production. Also untimely rainfall spoils the crop yield. Solution – Water shortage can be resolved by mulching while weather forecast can help farmers to manage their farms well. “We help farmers to know about the weather predictions and take the necessary actions,” he states. Labour Issues – Many labourers from Jharkhand have migrated to Punjab, Haryana, Kerala and Goa. As a result arable land is left vacant. 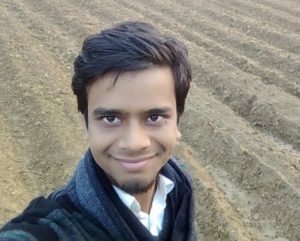 Solution – “I am installing semi-automatic agri machinery for the farmers group so that collectively they can share the expenses and complete their respective farm work. For example – I have put a seed drum with capacity of 5000 ton. It requires only one labour who can work for 10 farmers together,” he says. Mr. Choudhary feels Bihar, Jharkhand and Uttar Pradesh have most fertile land and have all the resources required for producing food. However youth of these three states are crazy behind government jobs and no one is taking the initiative to revive agriculture and create more jobs in agri sector. “Even without much knowledge on modern support practices using technology farmers in remote areas are doing farming and they are doing reasonably well. Now when people like me join them then surely it would lead to a most productive revolution. We can grow anything in our fields as the soil respond well to every crop grown. Further I see a great future in herbal, aromatic and medicinal plants cultivation in Jharkhand state,” he opines.